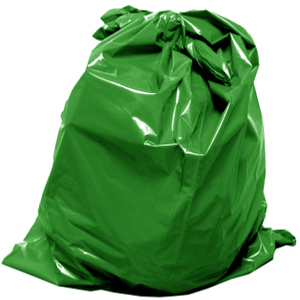 Home>uncategorised>Why Use Biodegradable Garbage Bags? 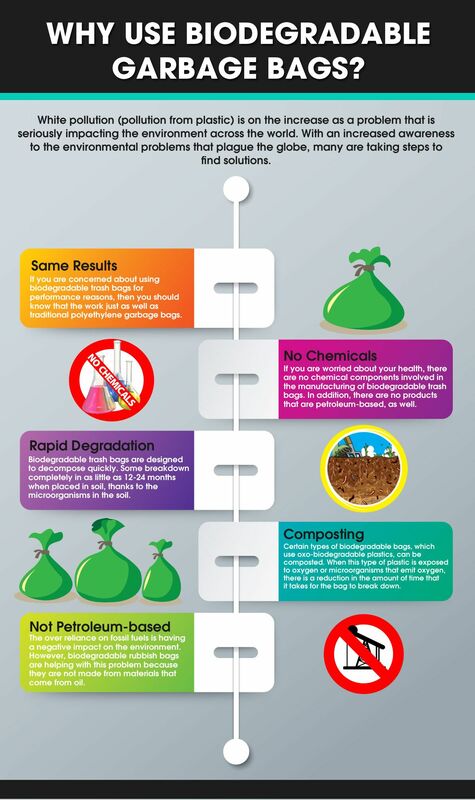 Why Use Biodegradable Garbage Bags? If you are concerned about using biodegradable trash bags for performance reasons, then you should know that the work just as well as traditional polyethylene garbage bags. They also offer the same features, such as flap closures, drawstring options or any other options that you prefer. If you are worried about your health, there are no chemical components involved in the manufacturing of biodegradable trash bags. In addition, there are no products that are petroleum-based, as well. Biodegradable trash bags are designed to decompose quickly. Some breakdown completely in as little as 12-24 months when placed in soil, thanks to the microorganisms in the soil. Therefore, they can cause significantly less harm to animals or local water supplies. This is a stark difference when compared to traditional trash bags, which can stay in landfills for thousands of years because they are not biodegradable. Certain types of biodegradable bags, which use oxo-biodegradable plastics, can be composted. When this type of plastic is exposed to oxygen or microorganisms that emit oxygen, there is a reduction in the amount of time that it takes for the bag to break down. For these types of bags, oxidisation is the key for biodegrading. The over reliance on fossil fuels is having a negative impact on the environment. However, biodegradable rubbish bags are helping with this problem because they are not made from materials that come from oil. These trash bags are only made from renewable resources. There is no doubt that the time has come for biodegradable plastics to be used for trash bags. Regardless of how much recycling and reuse that is done, there will always be a need for trash bags. 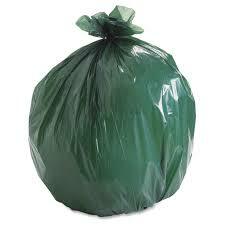 With biodegradable trash bags, you can be assured that you are making a good choice to protect the environment.